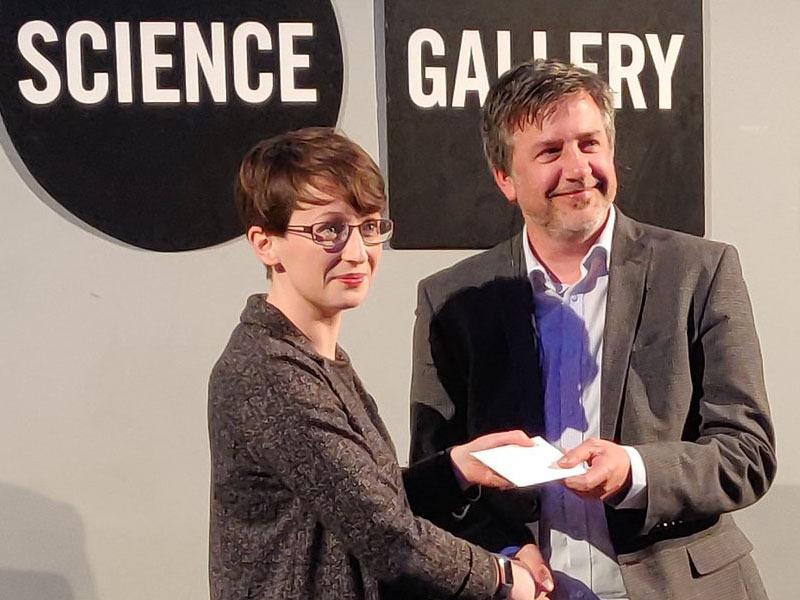 Eileen Courtney, a PhD student of the Department of Physics and Bernal Institute at UL has won the audience “Top Speaker” prize and 3rd place winner at the FameLab Ireland final held at the Science Gallery in Dublin on April 11th. FameLab challenges scientists, mathematicians and engineers to explain scientific concepts to a general audience in just three minutes. FameLab is the world’s leading science communication competition and takes place in around 30 different countries around the world, organised by the British Council in Ireland and funded by Science Foundation Ireland. The first prize winner was UCD Student Hayden Wilkinson, who will go on to compete in the international FameLab final at the Cheltenham Science Festival in June 2019.